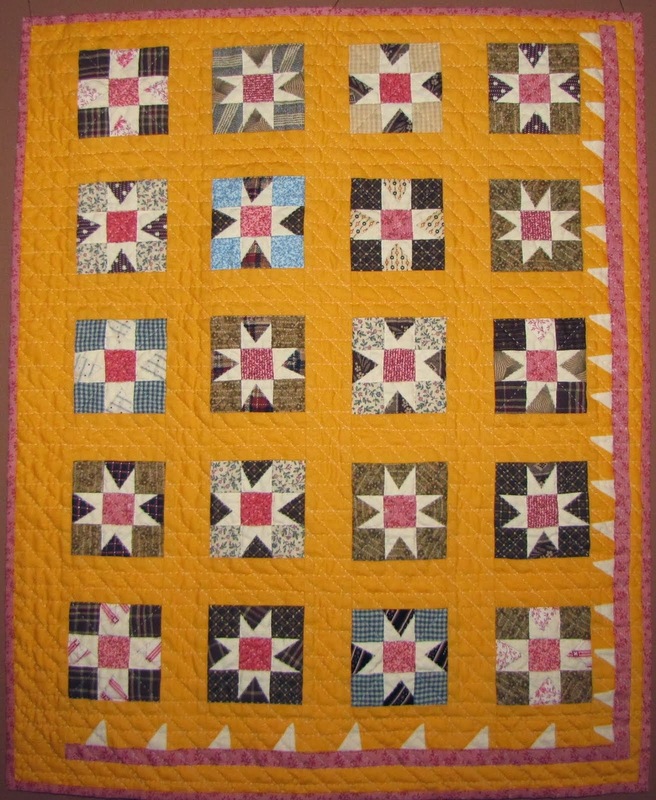 I've learned so much studying this antique signature quilt. 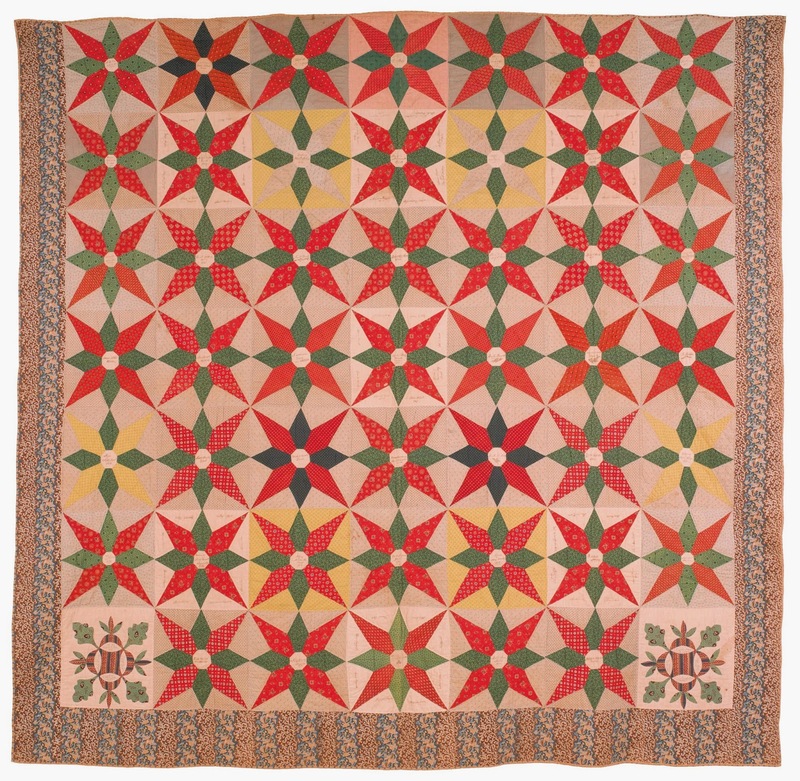 It is dated 1850 from Chester Co. Pennsylvania and made for Enoch and Mary Hoopes Worrall. From the Worrall, Hoopes, Davis, Windle, Umstead, Hicklen, families. 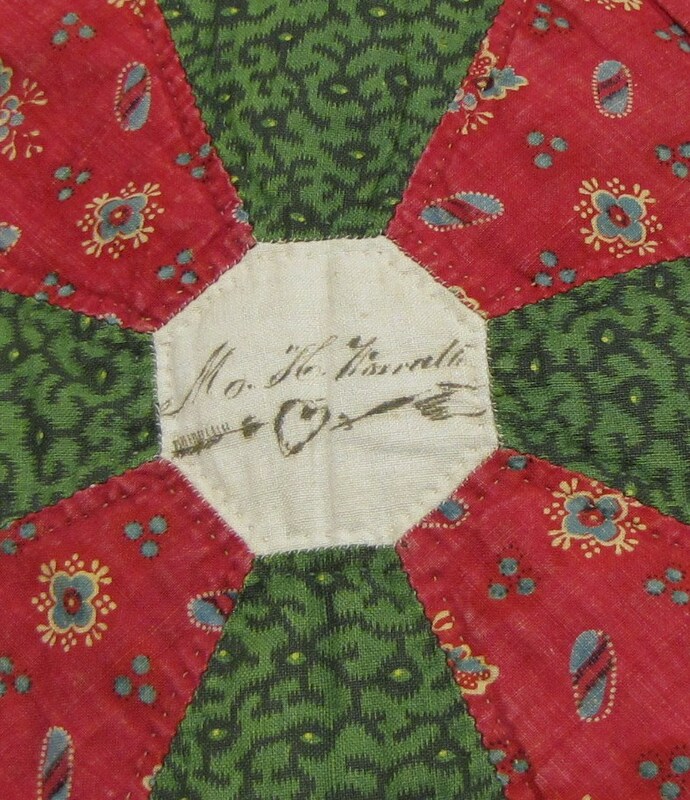 Love sharing this beautiful signature quilt that is also a genealogical treasure. 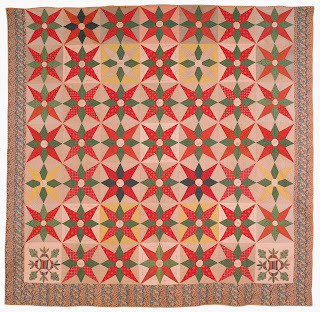 The center block reads Enoch and Mary Worral's children and then lists them (living and deceased) and in the very center states that it is "Enoch and Mary Worrall's Quilt. 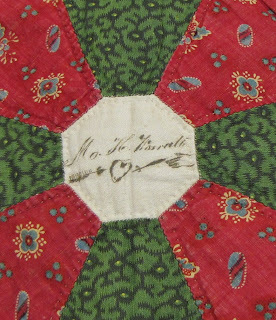 As interesting fact about the quilt, it is really a red, green, and white quilt as it has Scarlett, Green, and White surnames. Thomas & Hester White are in the block above. 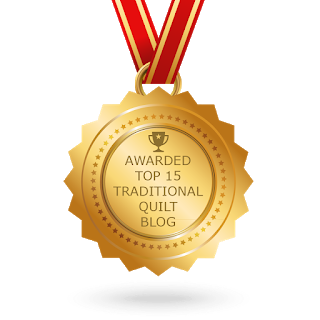 And several of the blocks have even more genealogical information. You may have noticed that there are 2 different blocks in the corners of the bottom row. 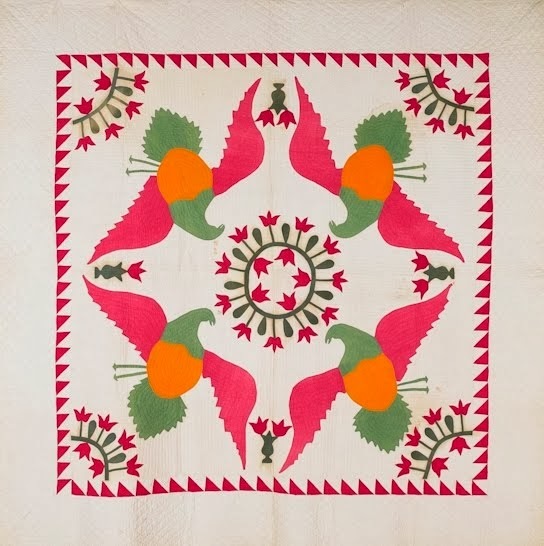 They are leftovers from the quilt made for Enoch and Mary's daughter Mary Worrall and are dated 1846 when her quilt top was made. Beautiful! And a lovely border print, too!